The recent slowdown in the market has been good news for those who want to get into the housing market and make that all-important first purchase. Whilst the number of current owners moving home has come to a virtual standstill, due in part to the uncertainties surrounding Brexit, the number of first-timers has increased. Analysis by Lloyds Bank1 shows that 372,100 first-time buyers entered the market in 2018, up by 3% on the figure for 2017. Changes in Stamp Duty provided much-needed help. First-time buyers in England and Northern Ireland now pay no Stamp Duty on properties worth up to £300,000. This means that they save up to £5,000. For properties costing up to £500,000 they pay no Stamp Duty on the first £300,000 but will pay duty on the remaining £200,000. (If they buy a property worth over £500,000, then they pay the standard rate and won’t qualify for first-time buyer’s relief). In Scotland, first-time buyers enjoy Land and Buildings Transaction Tax relief that saves them up to £600, whilst in Wales they get no special Land Transaction Tax concessions. As of October 2018, first-time buyers under Shared Ownership schemes can now claim First-Time Buyer’s Stamp Duty relief on homes worth up to £500,000. This change applies to homes purchased on or after 22 November 2017. Those purchasers who chose to pay Stamp Duty in stages and were previously not eligible for the relief can now claim this tax back. As well as being able to take advantage of what has become a buyer’s market, first-time buyers can also benefit from historically-low interest rates on mortgages. 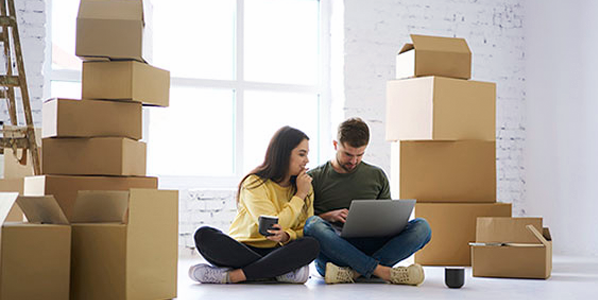 The mortgage market remains very competitive and lenders are currently offering a range of attractive deals specifically designed to help young people get on the housing ladder. Although lenders generally reserve the lowest mortgage interest rates for borrowers who can put down large deposits, those with lower deposits may still be able to get a cost-effective mortgage deal. Banks and building societies are focusing their efforts on attracting potential home buyers who only have a 5% deposit saved – exciting news for those who are looking to make this the year they enter the property market. First-time buyers are generally seen as the lifeblood that keeps the property market going, so lenders are naturally keen to attract them onto their books. In the current market conditions, it’s worth checking out recent sold prices in the area in which you’re looking to buy, as you may be able to secure a property with an offer lower than the asking price, especially if the owners are keen to move as soon as possible. It’s important to be aware that under the Financial Conduct Authority rules, lenders will still require potential borrowers to meet strict affordability criteria. Anyone applying for a loan will need to show that they have sufficient income to cover mortgage repayments now, and when interest rates start to rise again. Previous Previous post: Is it time to give your pension a spring clean? Next Next post: Are the best things in life really free?